In the past 5 years, Data Science and Data Analysis have gained immense popularity in the IT industry. The below graph shows this popularity trend. Our IT industry is going through rapid transformation with digital data being generated at an ever growing pace. The huge amount of data needs to be analyzed to derive maximum benefit for the businesses. As a result, the demand for Data Scientists and Data Analysts as grown tremendously. It has been said that by 2018 India will have close to 1 lakh jobs for Scientist and Analysts. Furthermore, the demand will keep on growing till 2020. There are over 12 thousand jobs available on Naukri.com itself for data scientist and data analyst on any given day. We at APLC are the leading classroom training provider in Greater Noida for Data Science and Analytics course. The programming language used in the course is R.
Although, the number of jobs and demand for Data Scientists are high, it is difficult to become one. The job of a Data Scientist is highly skilled, yet it derives its foundation from core statistics and programming. Most noteworthy, the Data Scientists needs to be proficient mathematics, programming and business administration. For more details on Data Science, read our blog. We at APLC started the course Data Science and Analysis with R over 2 years back. We have successfully trained dozens of candidates at our institutes. Some candidates have got a raise of over 100% in their jobs after finishing Data Science course from our institute. Our faculty is B.Tech IIT and PhD from Top European Institute with over 8 years experience. We conduct classroom coaching for this course at APLC. The Classroom coaching provides environment for strong interaction and discussion during the classes. From our experience, this is especially relevant as in higher understanding and success rate among our previous learners. 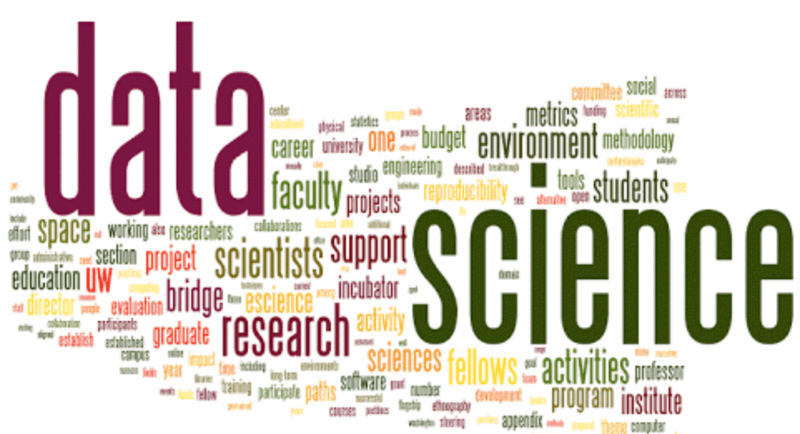 Who should pursue Data Science Training ? College Student – If you are a B.Tech. student who wants to venture into Data Analysis and machine learning should enroll into this course. Colleges education give you fundamental knowledge on various engineering subjects. However, this course prepares you for getting job as a Data Analyst/Scientist. Machine learning enthusiast – If you want to become a machine learning expert, this course will give you a big picture as well as micro-analysis on machine learning. We discuss various industrial scenarios and practice machine learning techniques on different datasets. This will prepare you to handle complicated industrial machine learning problems. Job growth aspirants – To keep succeeding in the IT world and avoid stagnation in job growth, you need to enhance your skills. Learning Data Science and Analytics with R will unleash you into the world of Analytics and Artificial Intelligence (AI). AI is deemed to be the growth engine of the futher. Whether you are a developer, testing engineering, or conventional engineer handling data, this course at APLC will boost your career by leaps and bounds. We at APLC provide 60 hours course on Data Science and Analytics which covers the following topics. Of these 60 hours, 30 hours is classroom training and another 30 hours for self-paced assignment problems. Algorithms – Linear Regression, Logistic Regression, Bagging, Random Forest.